A new automated appointment reminder platform, dubbed Notifly, is aiming to change the way businesses approach no-show appointments. 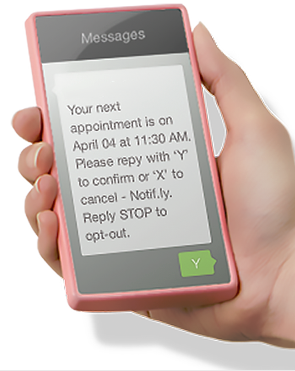 Screenpush launched Notifly to make scheduling appointments both easier and more effective. According to the company, the platform features an automated reminder system that works with 99 percent of cell phones. Through Notifly, business can send automatic text message appointment reminders to prompt recipients to either confirm or cancel their reservation, which can reduce no-shows and save revenue for businesses. “Not only does Notifly save businesses money, but it also improves their operating efficiency, making things easier for employees and more streamlined for the clients themselves,” says CEO Josh Otten.